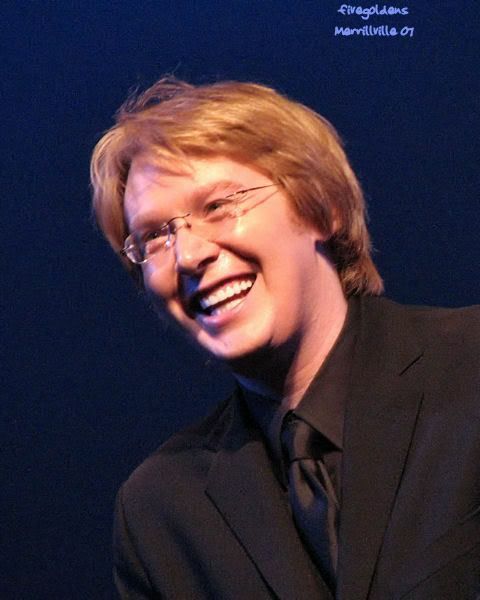 Are you a member of the Clay Aiken Official Fan Club?? Have you been wondering about how to renew you membership? Well, you can relax for a few days. The renewal date has been changed to February 20th. According to the moderators at the site, a renewal announcement is imminent. They also said; “DO NOT RENEW UNTIL IT IS POSTED ON THE OFC. If you get locked out, please email the support people at their site. My membership to Clay Aikens ofc has been updated to 2/20/09. I've received no reminders, but will join again. Mine has been extended to Feb 24th?!! But hes just blogged, so if you’re wondering whether to join, you will of missed these opportunities!! Get over there for Year 4 and join now! Not yet! People need to wait until they give the go ahead. I love the picture you used with this article. I am until July a member of the OFC but, am not able to log in to it. The only page I get is to join. I’ve been trying to get help but can’t so far. What to do? Pat, have you tried a different browser? Error: Error validating access token: Session has expired on Tuesday, 21-Aug-18 16:13:01 PDT. The current time is Monday, 22-Apr-19 08:35:45 PDT.